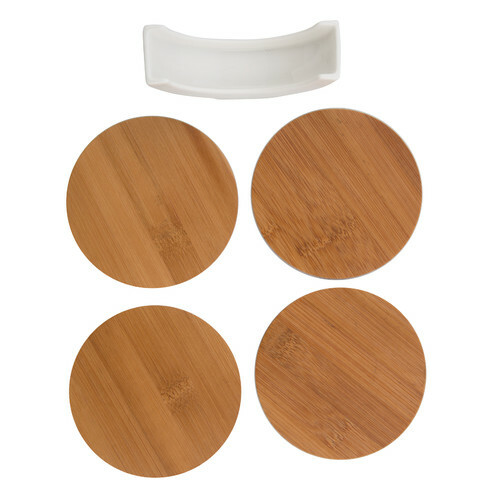 The set of 4 bamboo coasters with porcelain stand is a décor product by Casa Uno which is strong, durable and ideal for everyday use. Items by the Casa Uno brand have been selected to mix and match, or blend with your existing table top items, and have an exclusive identity. 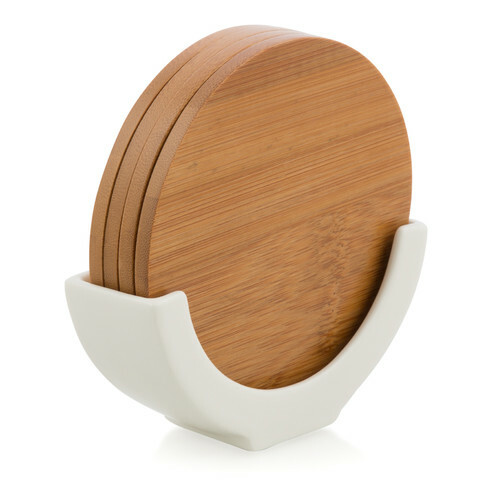 When you buy a Bamboo Coasters with Porcelain Stand (Set of 4) online from Temple & Webster in Australia, we make it as easy as possible for you to find out when your product will be delivered to your home in Melbourne, Sydney or any major city. You can check on a delivery estimate for the Lifestyle Traders Part #: CJ10 here. If you have any questions about your purchase or any other Coasters & Trivets product for sale our customer service representatives are available to help.Whether you just want to buy a Bamboo Coasters with Porcelain Stand (Set of 4) or shop for your entire home, Temple & Webster has a zillion things home. The item arrived very quickly. It looks simple and suitable with any home decor. Well made costers that suit my timber kitchen table I like the fact that I can keep them in the porcelain stand when not using, kept handy on the table.